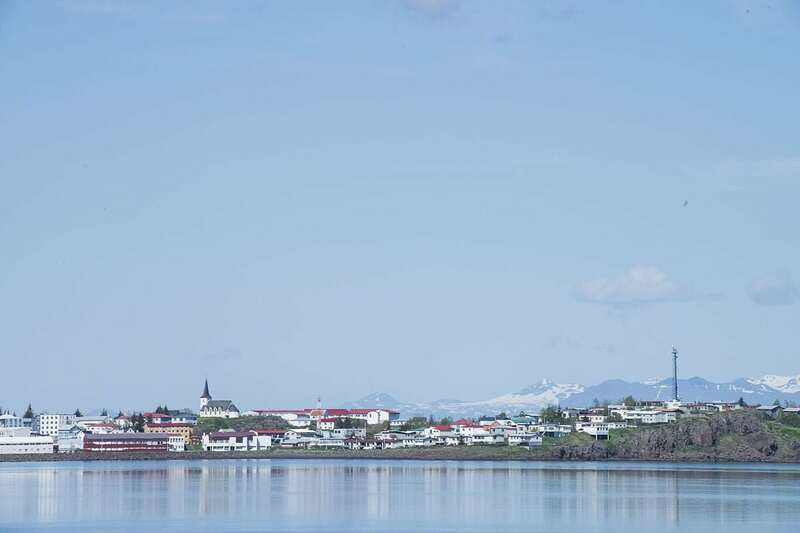 Borgarnes is a charming little town in the West of Iceland. 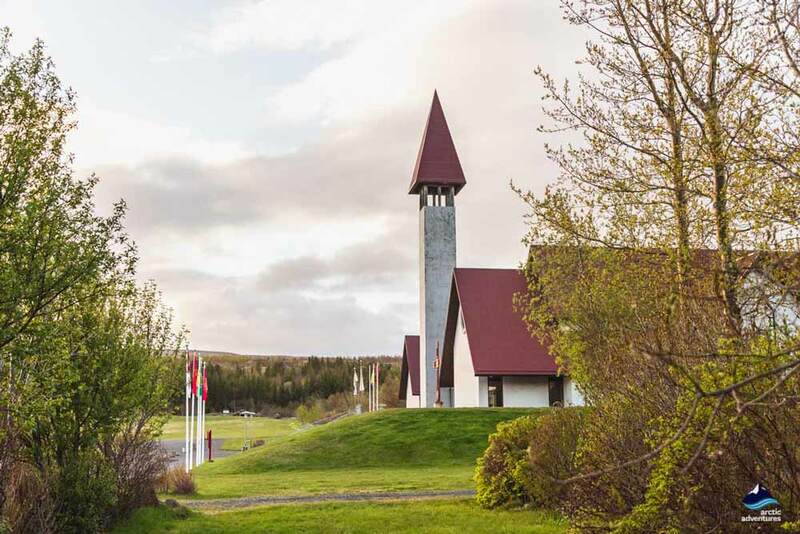 It is a mecca for culture and history in the Borgarbyggð area and a fantastic stop to make when exploring the Western part of Iceland. How to get to Borgarnes? Borgarnes is a quiet, yet charming town, located on a small peninsula at the shore of Borgarfjörður, West Iceland about 75 km from Reykjavík. With a population of only 2000 people, this place still manages to have loads to do and interesting cafés, museums and attractions to visit. Borgarnes is locally known to have a fantastic swimming pool and the weather is mild. Borgarfjörður is a historic town stretching all the way back to the Viking times and has played an important role in Iceland’s saga from the beginning of settlement. Today you can still find traces of the history and the locals are very keen on telling you the town’s history in all kinds of ways, this is best displayed in the spectacular museums scattered in the town. Let’s go all the way back! 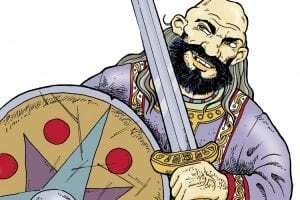 Skalla-Grímur Kveld-Úlfsson was Norwegian Viking son of Kveld-Úlfur. The two of them were good friends with Ingólfur Arnarsson, the original settler of Iceland, and had heard tales of this island in the North. They set sails to verify these stories but during the voyage the father. Kveld-Úlfur, sadly fell ill and passed. Following Kveld-Úlfur’s instructions, his ships man dropped his coffin in the ocean and sailed with Skalla-Grímur into a fjord where he took land. 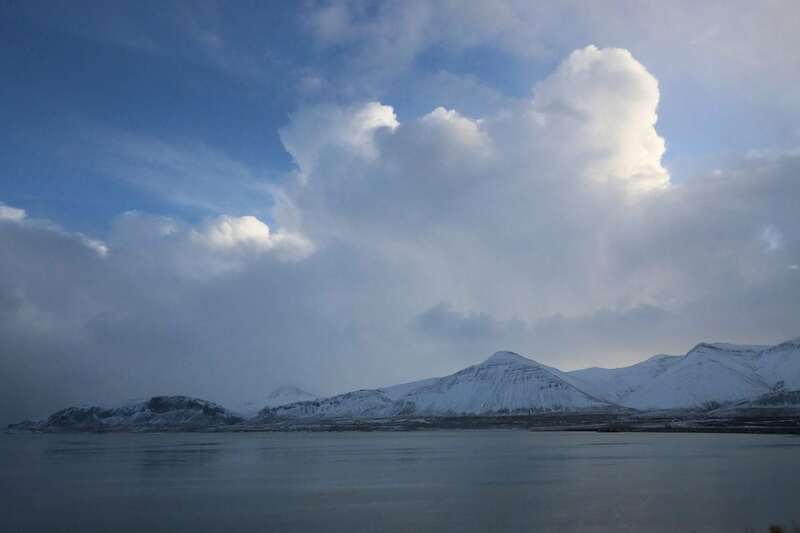 Skalla-Grímur and the ship’s men continued to explore the Southwest region of Iceland until they heard reports of the coffin being found in fjord further West. 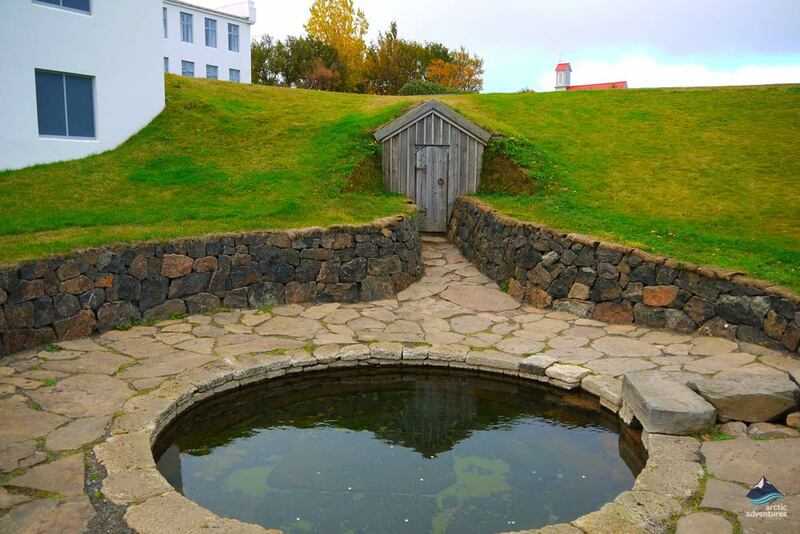 They set sail again and traveled to the coffin’s location where Skalla-Grímur decided to settle, he named his farm Borg and the fjord it lays in, Borgarfjörður. The peninsula the farm sits on was later named Borgarnes which translates the peninsula of Borg but had originally been called Digranes. Skalla-Grímur and his wife Vera Yngarsdóttir had four children that are known of and one of them is Egill Skallagrímsson, one of Iceland’s most famous and historical person. Egils Saga is named after him. Borgarnes started to form as a village at the beginning of the 20th century when local opened a shop in the area, before that time both English and Scottish men had tried their hand at business in the area but no foreign business has been in the area after the year 1918. Borgarnes was a great area to market as the transportation both to and from, on land and at sea is very accessible. In the year 1900, Borgarnes inhabitants were 50 in total but in the year 2006, they were up to 1891. Borgarnes is located on the Borgarnes peninsula in Borgarfjörður in the West of Iceland. 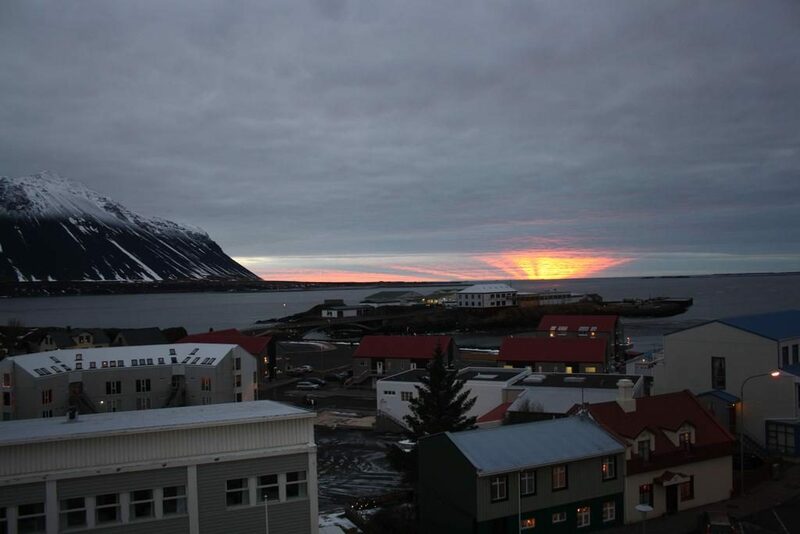 It is about 75 km (46,6 mi) from Reykjavík, about 312 km (193,8 mi) from Akureyri and about 516 km (320,6 mi) from Höfn. You will drive through Borgarnes when making your way North, to the Westfjords or to the Snæfellsnes Peninsula. 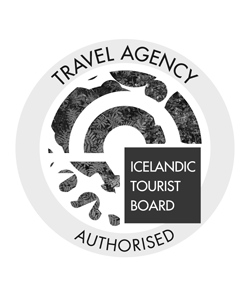 Traveling from Reykjavík to Borgarnes you will need to follow Route One, known as the Ring Road, North up through Mosfellsbær, past Mt. Esja and through a 6 km (3,7 mi) underwater tunnel Hvalfjarðargöng or if you want to take the longer scenic route in and out through Hvalfjörður fjord. The drive continues over the second longest bridge in Iceland then voilá, you are there. 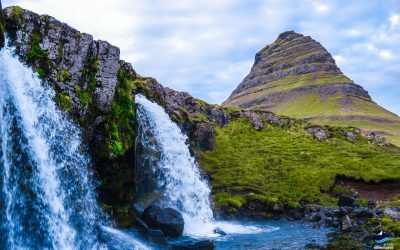 The longer route through Hvalfjörður is especially encouraged for hikers as the stunning waterfall Glymur falls at the bottom of the fjord and the 3-hour hike to the top is a gorgeous one. Driving through the tunnel from Reykjavík to Borgarnes will take about 1 hour but if you drive the fjord itself it will take 2 hours. 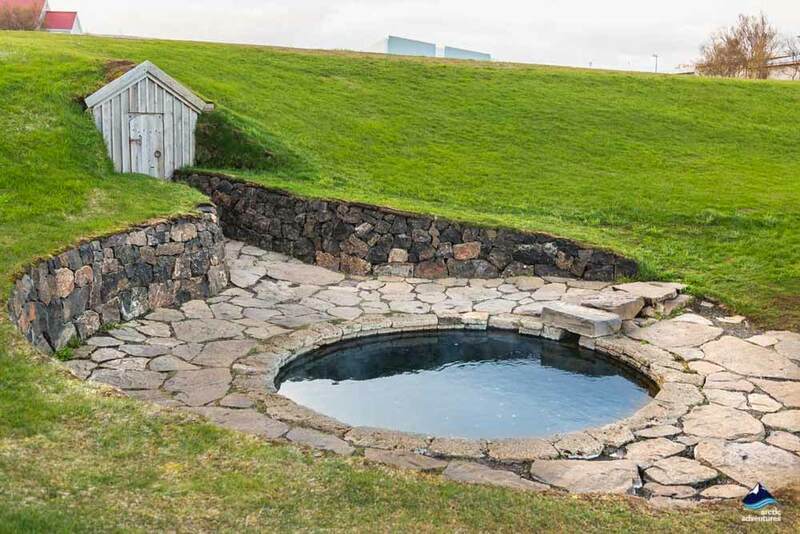 Visit the Swimming Pool and its water slides, this is a true Icelandic local experience and will get you fresh and clean for your next adventure. The perfect stop in any weather as the hot tubs, steam baths and saunas will warm you right up in winter and the sun will keep you entertained in summer! 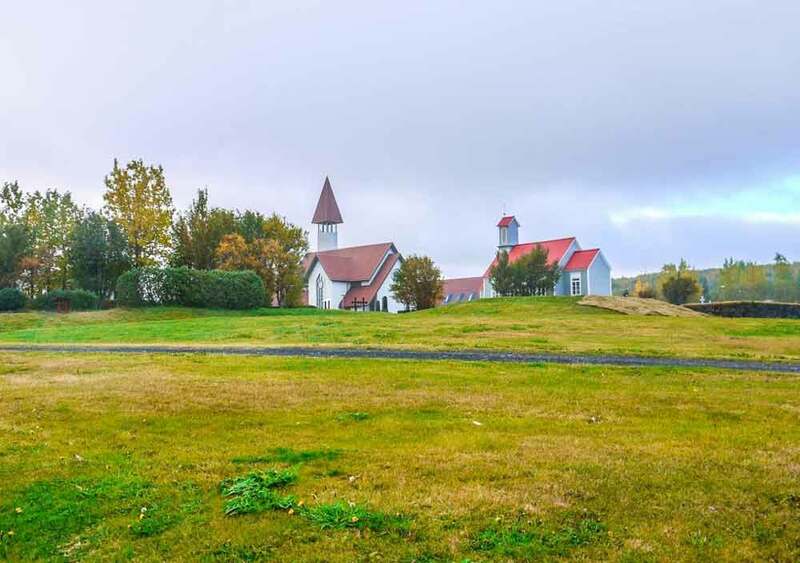 Skallagrímsgarður Park is one of these cute little gardens, perfect for a road trip picnic and for children to play around in but also a historical site. This public park plays in important to the in Egils Saga and is the burial site of Egil’s father Skallagrímur Kveldúlfsson. It is located right next to the Swimming Pool. The Settlement Center is not only a fabulous, and award-winning museum but also a great restaurant. Two main exhibitions are of focus at the museum, one revolving around Egils Saga and the second around the Settlement in the area. Stop by for an educational and intriguing experience. Blómasetrið “The Flower Center”, gift shop, guesthouse, and café is another terrific stop to make whilst exploring the town. The feel of the place is wonderful! For the hikers reading this Hafnarfjall is a fantastic mountain if you are looking for a challenge with a view. Bring some goods from Geirbakarí to eat on top and you are in for a treat! 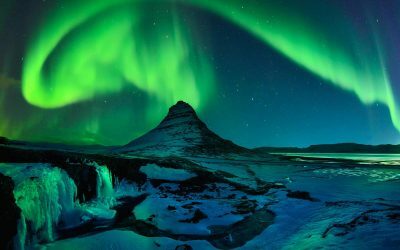 The town of Borgarnes is a fantastic location to view the Northern Lights, with its remote location the town’s lights will not have as much effect on your viewing as the lights in Reykjavík for example and if the lights are out you will be in for a great show! 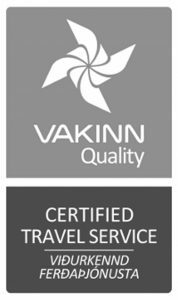 When traveling around Iceland in winter it is always best to have some knowledge of the indoor activities if the weather doesn’t turn out great. The Museums at Borgarnes are an excellent way to spend the day when you are feeling a bit chilly or want to wait out the storm. The Secret Life of Walter Mitty (2013) was filmed in Iceland over a period of a few months. Many of the locations chosen for the movie were in West Iceland due to the rough landscape and terrain BUT one location really sticks out. It is the location of the scene at Papa Johns, shot inside. In real life the “Papa Johns” is a bakery, called Geirabakarí known locally as one of the best stops to make when passing through the village on the Ring Road. Try their ástarpungur, they are delicious! 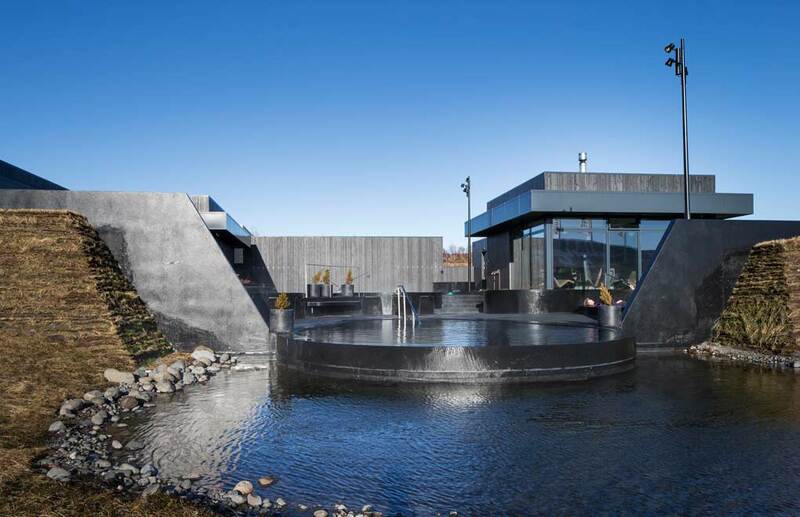 Fed by the most powerful hot spring in Europe this geothermal bathing facility is one for the books. Soak in the different hot tubs, take a steam bath right above a hot spring with natural fumes or indulge at Krauma’s fantastic restaurant. They have it all – a great stop only 25-30 min from Borgarnes! This is a must-see attraction in the area and is located right next to Krauma, making this perfect combination stop to make. 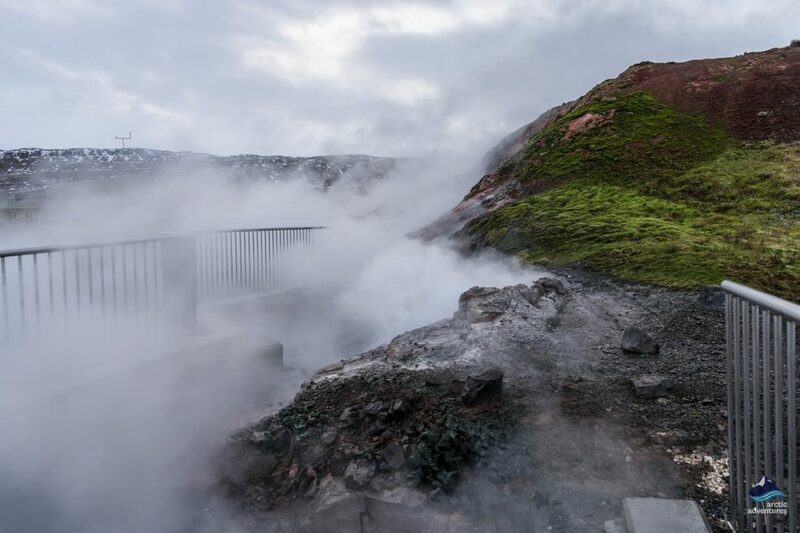 Being the most powerful hot spring in Europe this incredible natural wonder is a sight to behold. 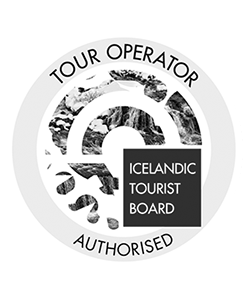 An amazing opportunity to experience the natural energy force in Iceland. 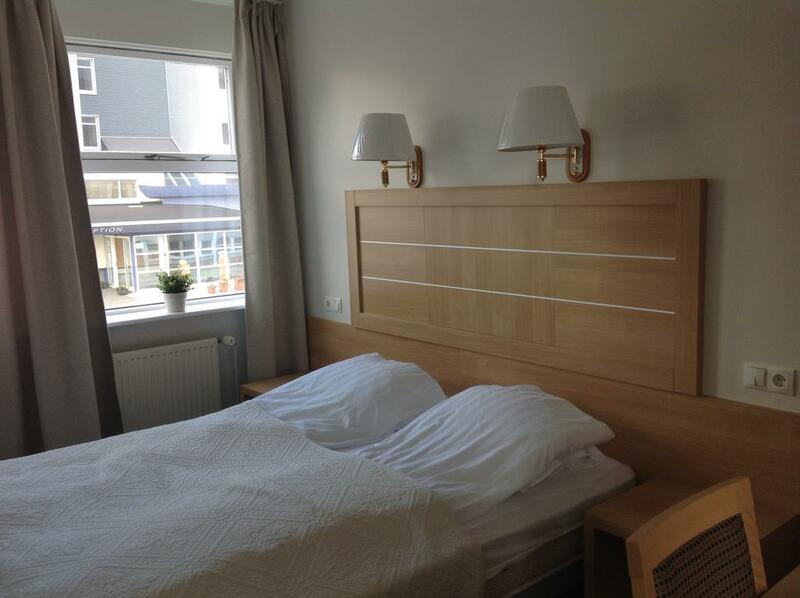 You will reach Deildartunguhver in only about 30 min driving from Borgarnes. Langjokull is the second largest glacier in Iceland and a true paradise for any nature enthusiast. 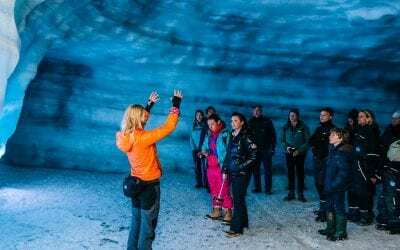 You can easily meet up for an ice cave tour starting at Húsafell and be on a glacier in only about an hour. 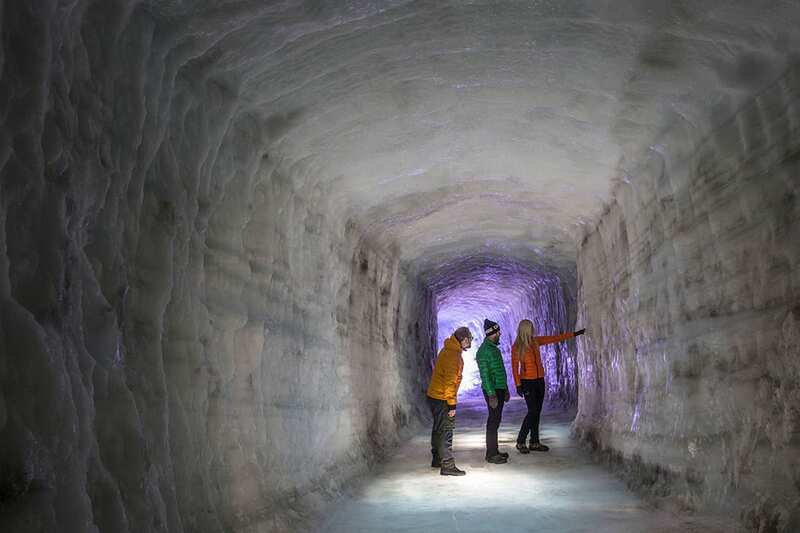 This man-made ice tunnel will show you the different layers of ice and ash giving you a lesson in Icelandic geology and history. 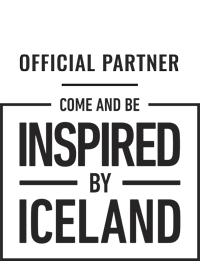 A top-rated experience! From Borgarnes Húsafell, the meetup location for the tour is only about 45 min driving. 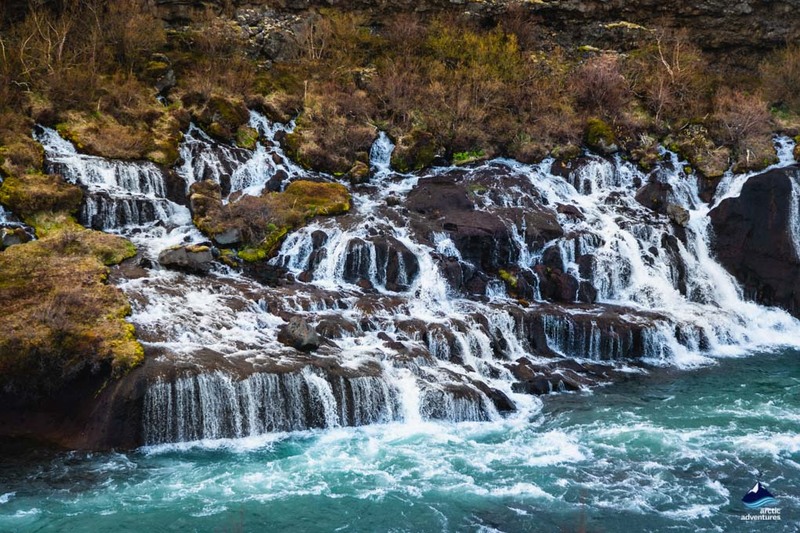 This mesmerizing waterfall duo is a contender for the best waterfalls in Iceland. 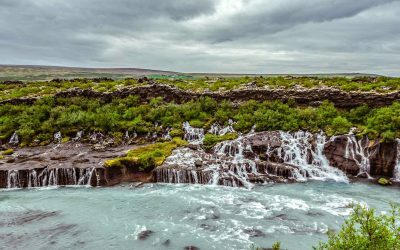 With Hraunfossar it seems as if the water is spouting from nowhere as it drizzles down the lava cliffs but actually originates in Langjökull glacier. The same goes for Barnafoss, the intensely light blue-colored river and waterfall. This place will capture your heart and don’t forget the camera – you are going to want to preserve this memory any way you can! Hraunfossar and Barnafossar are only about 45 min driving from Borgarnes.